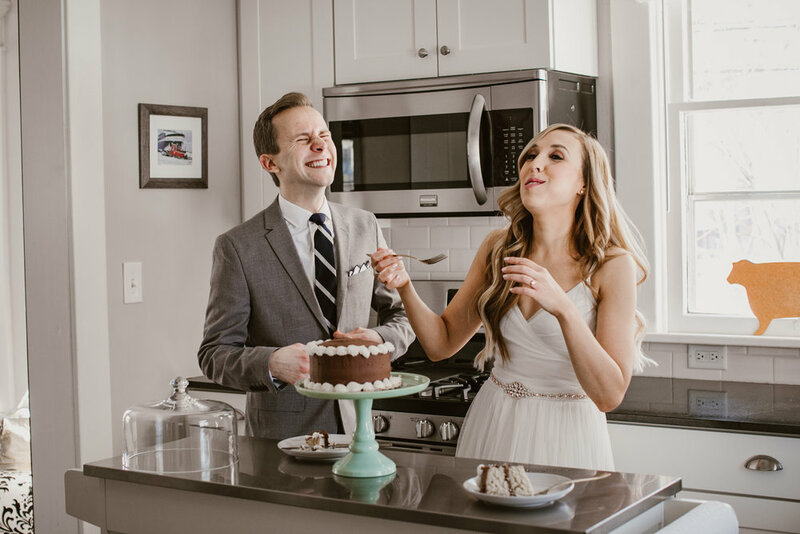 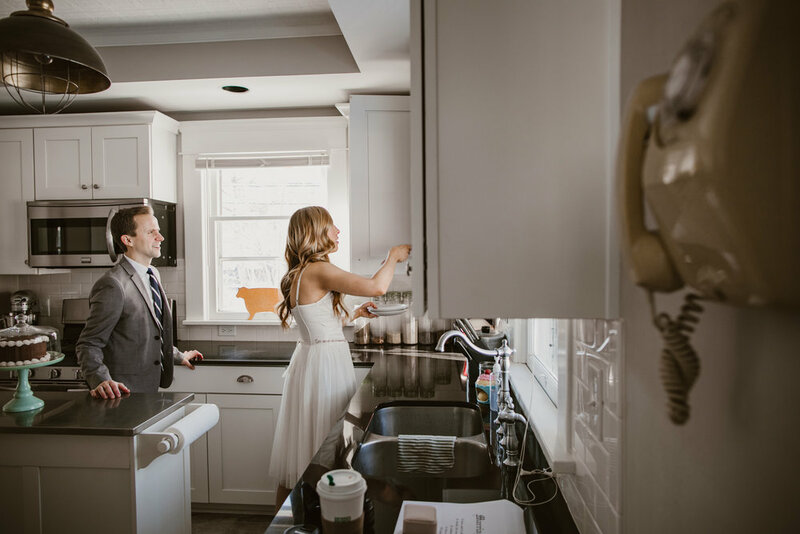 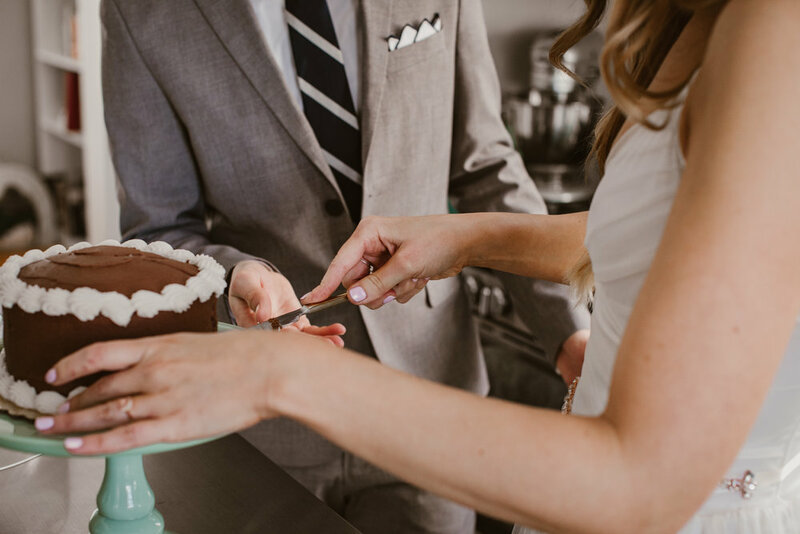 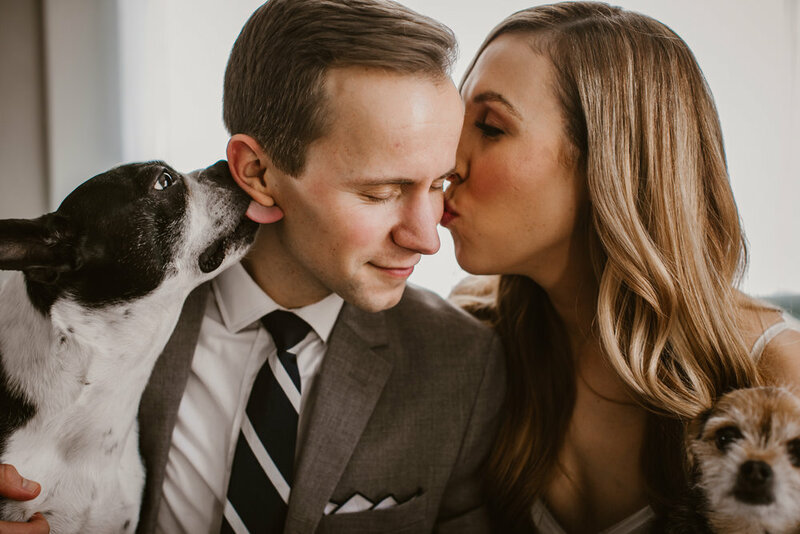 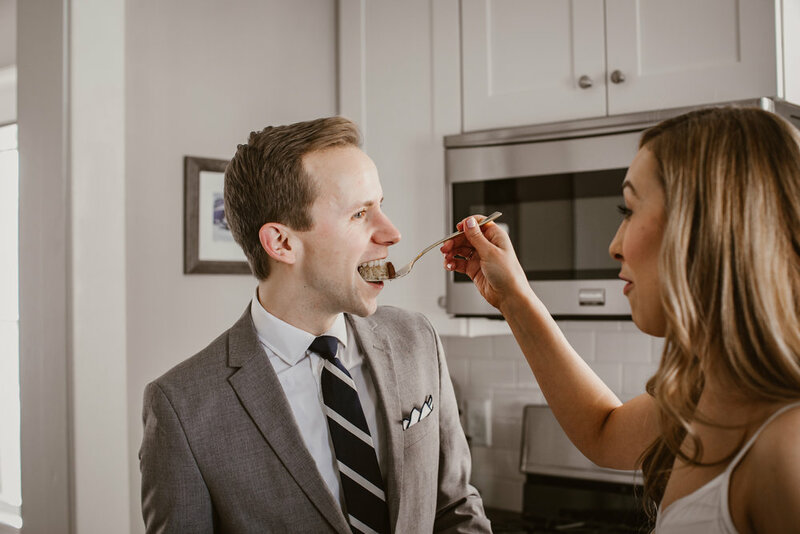 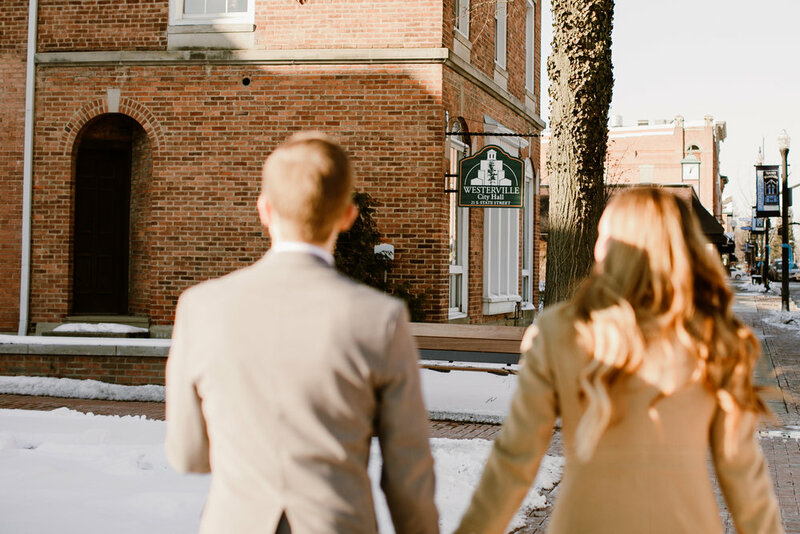 Hours before heading to their courthouse wedding ceremony, Brittany and Robbie enjoy cake, and snuggling on their couch with their two pups in their home. 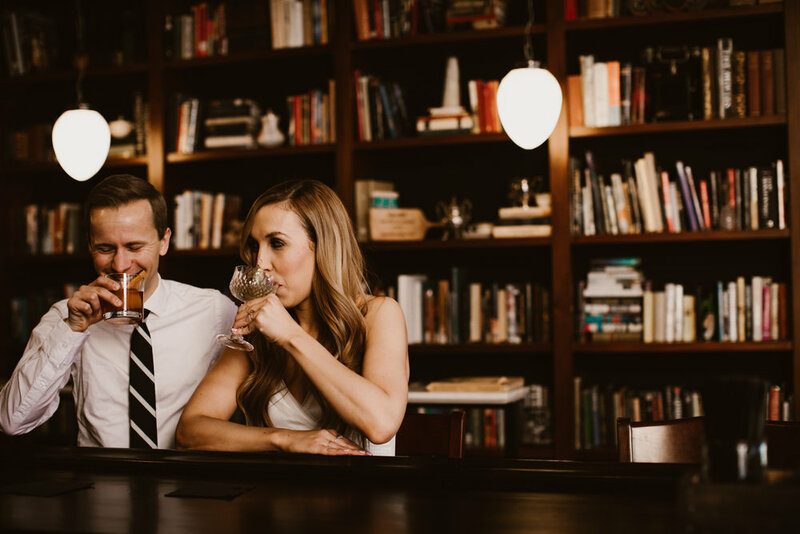 Nothing calms the pre-wedding ceremony jitters like a drink at your favorite local spot. 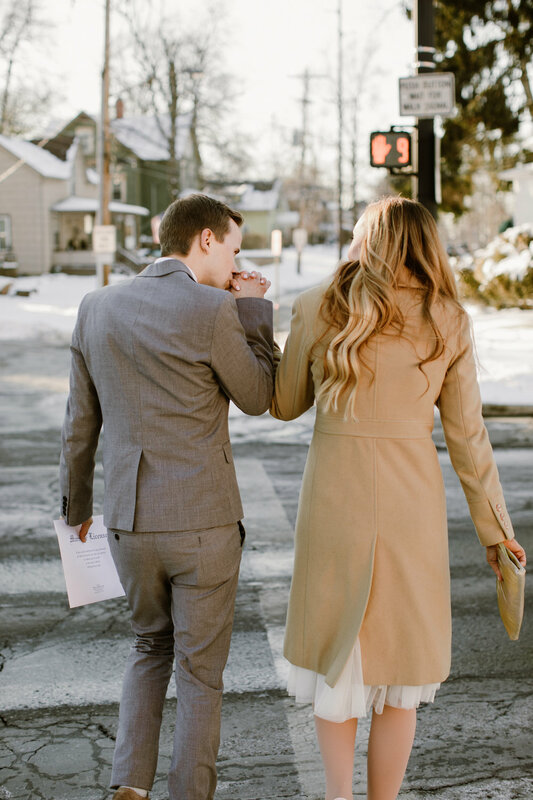 Afterward, they met up with family and headed to the courthouse to get hitched! 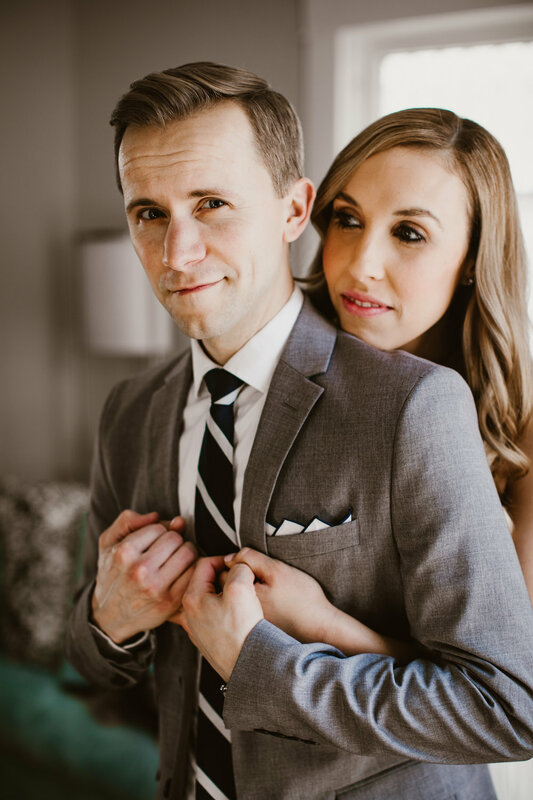 And just like that, they were MARRIED!